"To provide clients with the highest levels of service and commitment to ensure they have a positive and rewarding real estate experience." 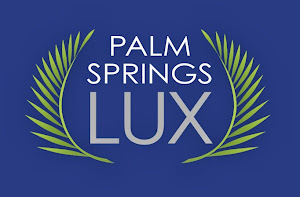 The above mission statement at Palm Springs Lux is founded on the guiding values: Integrity, Service, and Commitment. Integrity - I provide my clients with honest and truthful advice to help guide them through the real estate process. Service - I bring a higher level of service and professionalism in everything I do to enhance my clients' experience. Commitment - I dedicated to working with my clients and understanding their needs and ensuring these needs are addressed appropriately. Further, I fight for my clients and never compromise their positions during any negotiations. Here are some reviews from past clients! "We had a smooth transaction from start to finish. Michael was always prepared and extremely thorough with addressing any questions or concerns." - Paige B. "Fabulous realtor. Best we’ve worked with. Goes above and beyond every step of the way." - Steve C.
Inspections, escrow, condo guide lines, local contractors and much more. I very highly recommend Michael Bouchard" - Ed T.
Michael was phenomenal during our multi-month (nearly one-year) housing search. He displayed remarkable knowledge of the market--down to the individual street level--and he was incredibly patient. When it came time to submit an offer, he was thoughtful but determined. I just cannot say enough great things about him! Thank you, Michael!! - Chris C.
Michael Bouchard vastly exceeded my expectations regarding a real estate professional. He has been a trusted advisor and a true partner every step of the way on my road to home ownership in Palm Springs.- Douglas G.
Michael Bouchard was absolutely AMAZING! He went above and beyond with EVERYTHING!! He was always available when i needed to reach him! Got everything done so fast! Thank you so much Michael for finding us and getting us into our very first home! - Samantha R.
Michael Bouchard was a delight to work with! He provided valuable recommendations and insight throughout the process. I appreciated the reoccurring check-ins and updates. Highly recommend! - Brooke S.
Michael Bouchard is an extraordinary realtor. Buying a home from out of state in a city that we know nothing about...well, we were a bit more needy than most but he never made us feel that way. He was always prepared and super knowledgeable. He allowed as much time as needed and never made us feel like we we're taking too much of his time. Once our house was chosen, he was there 100% of the way making sure we were on track for our closing date. He handled so much and took the stress out of this for us. We HIGHLY recommend! - Alicia M.
I highly recommend Michael Bouchard as an agent. Michael helped us find the perfect home, and took the time to understand our goals and what was important to us. He gave us great advice, and is reliable and practical. Strong integrity. - Mauricio M.
Michael helped us find our new home, after we had sold our old home. We were in a bit of a bind, but he came through, and got us what we were looking for - Jim B.
Michael Bouchard was very easy to work with, especially as we transitioned from looking for a fixer to getting something that just needed some paint. Super helpful in finding services like a gardener and pool service for the new place. - Gene H.
This is our third transaction either buying or selling a home with these gentlemen. Working primarily with Mr. Bouchard has been a pleasure. Professional, friendly, humorous, and efficient are all adjectives that I use to describe him without reservation. His prompt and timely responses to all our questions, insecurities, and, quite frankly, my demanding personality makes working with him an excellent experience. He has a way to calm me down when I get riled up about whatever it is that riled me up, and he has always patiently explained processes to us when we weren't sure about the direction the "game" was headed. Mr. Bouchard's understanding of how to "play the game" and his strategic approach to making offers and counter offers has played significant roles in our success as a two time buyer and one time seller of properties. In the event that we have the opportunity to purchase another property, you can bet the ranch that Mr. Bouchard will be our agent. - Steve V.
We worked with Michael Bouchard and he was terrific. He explained the process every step of the way and was incredibly responsive, even on holidays. - Cheryl H.
A very professional experience. Mr Bouchard was timely in all his actions and his communication with us superb. - Angelica V.
Smart, thorough, knowledgeable of marketplace, listens to his clients, informative and trustworthy! Looks out for client's best interests. - Robert R.
Michael sold my 90-year old father's fixer mid-century modern for well above what I had expected, reading the market expertly, and navigating a bidding war. He then moved my dad out of the house using his own truck, placing him a tremendous condo. My did can be difficult, and he managed that brilliantly. I can't recommend Michael highly enough. - Brad Z.
Mr. Bouchard was amazing to work with. He was very patient and explained everything thoroughly. We have recommended him and his team to our very own friends and family. We love our new first home and we are so grateful to have met such an amazing realtor. Thanks Mike!! - Damian A.
I was proud to join Bennion Deville Homes (CalBRE# 01325548) in the summer of 2013 and am based in their Palm Springs South office. Bennion Deville Homes was established in the Fall of 2001, and quickly became a leader in the local real estate market. 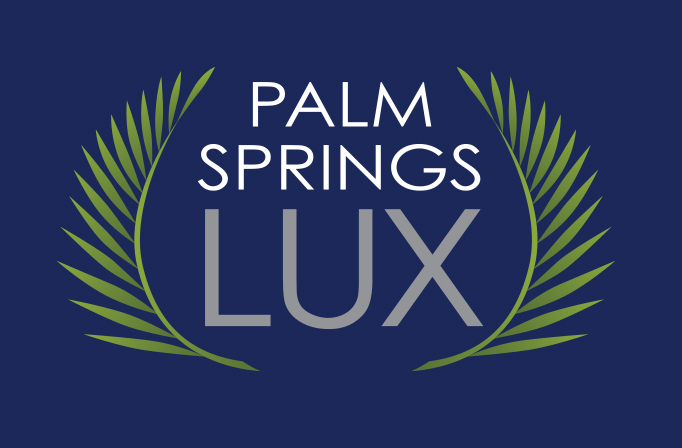 Due to extensive professional training, high ethical standards, mastery of the desert's expanding real estate market, and tenacious efforts on behalf of their clients, Bennion Deville Homes enjoys a stellar reputation among clients which is proven in their closing of over $2 Billion in residential transactions and sales annually! You can call me at +1 760.548.8738, email me HERE, or simply contact me through the message box on the right side of this page!